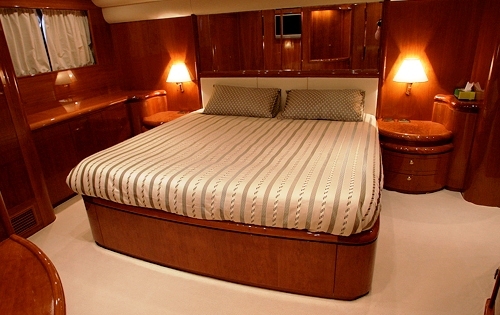 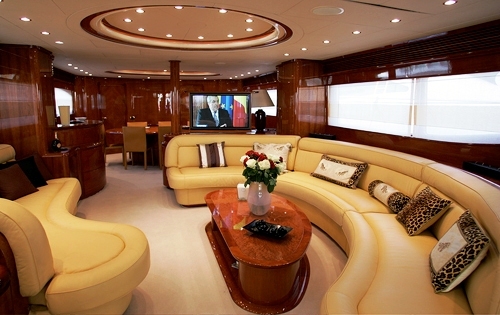 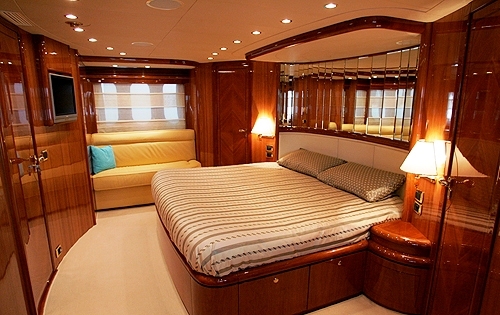 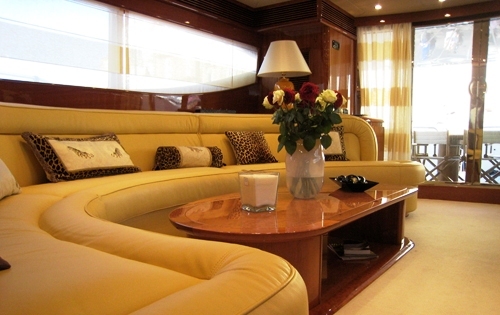 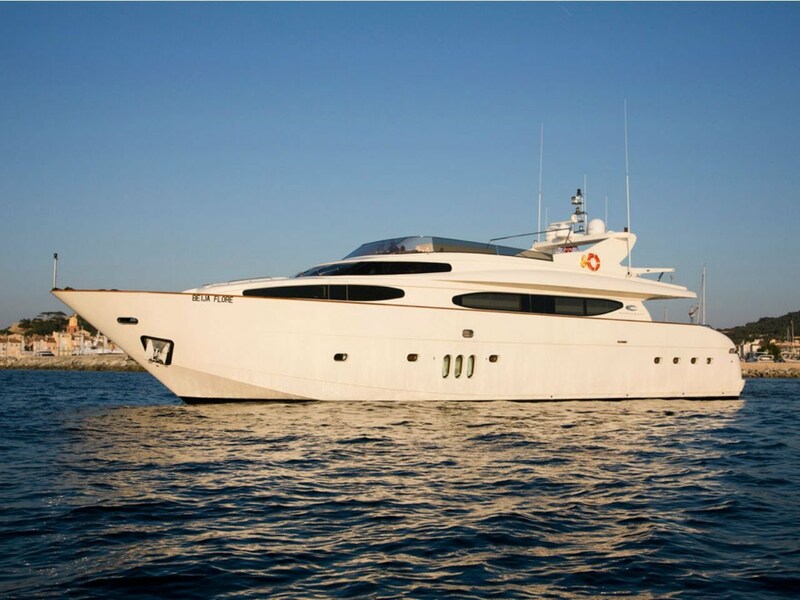 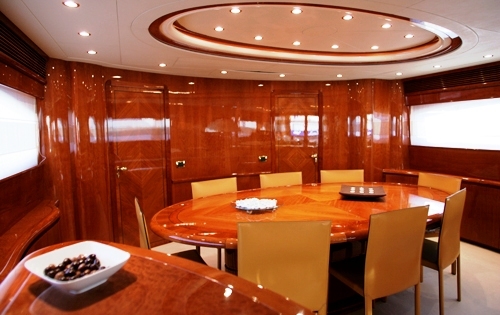 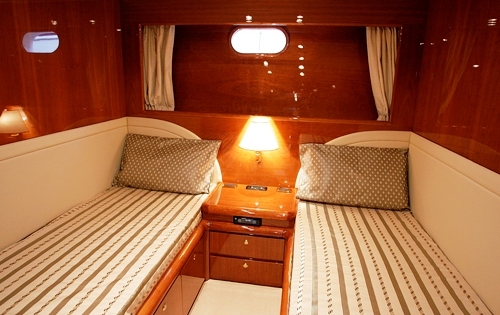 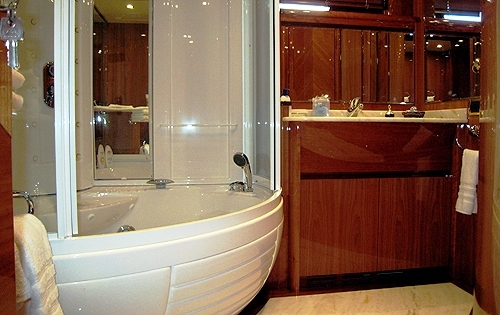 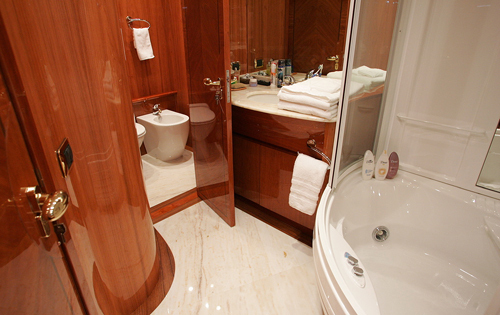 Luxury motor yacht BEIJA FLORE is a 28,00m (91' 10") motor yacht built by Eurocraft in 2007. 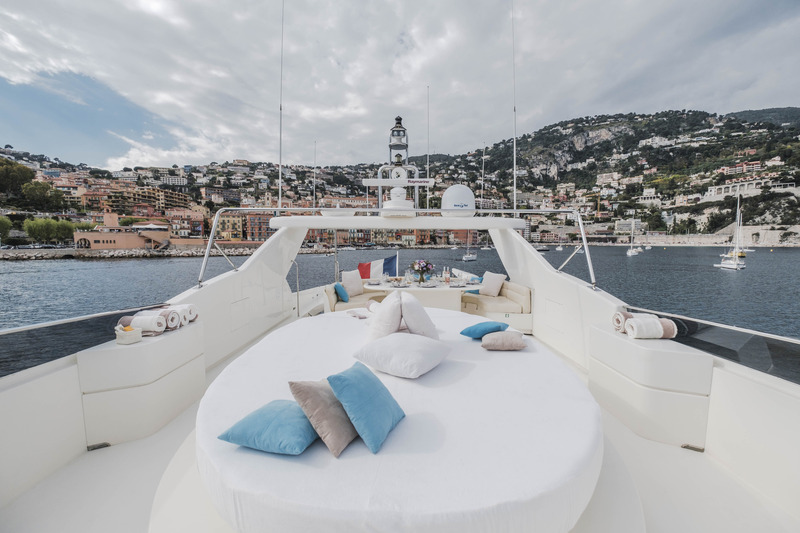 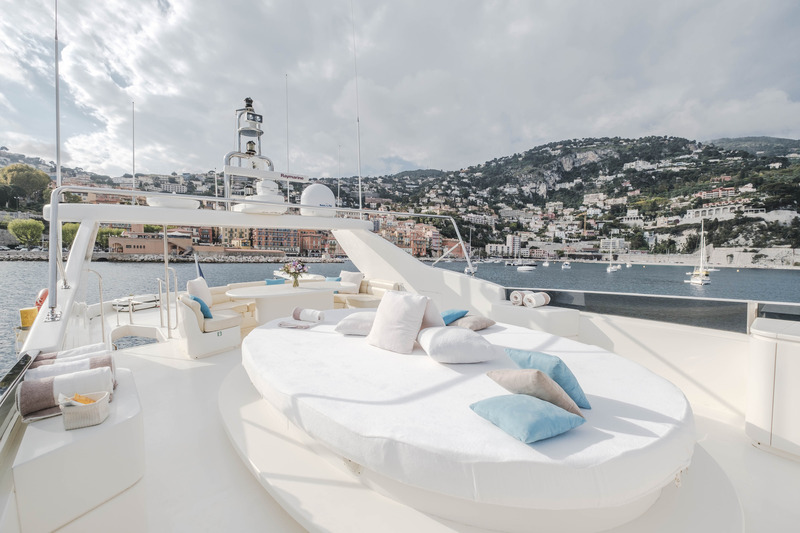 The yacht is based in Port Grimauld, near St Tropez and is available for luxury yacht charters throughout the Western Mediterranean. 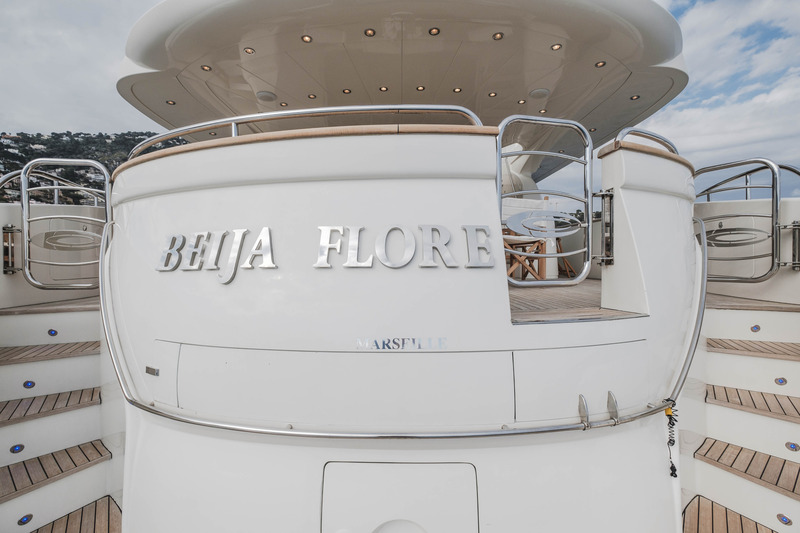 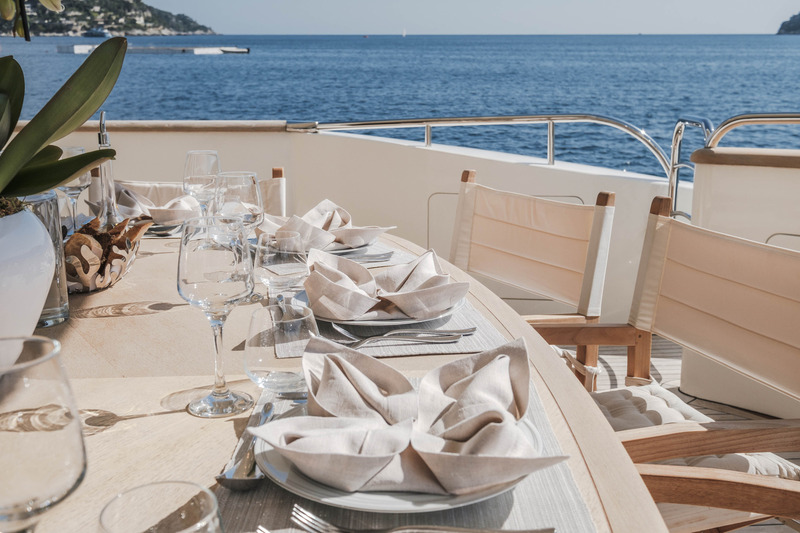 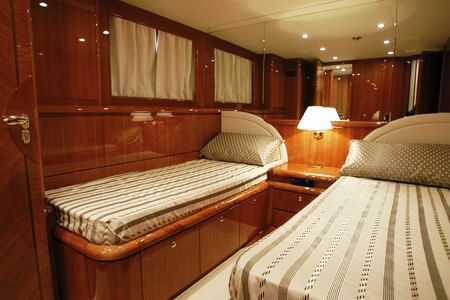 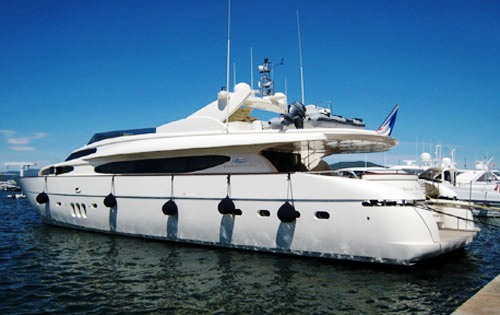 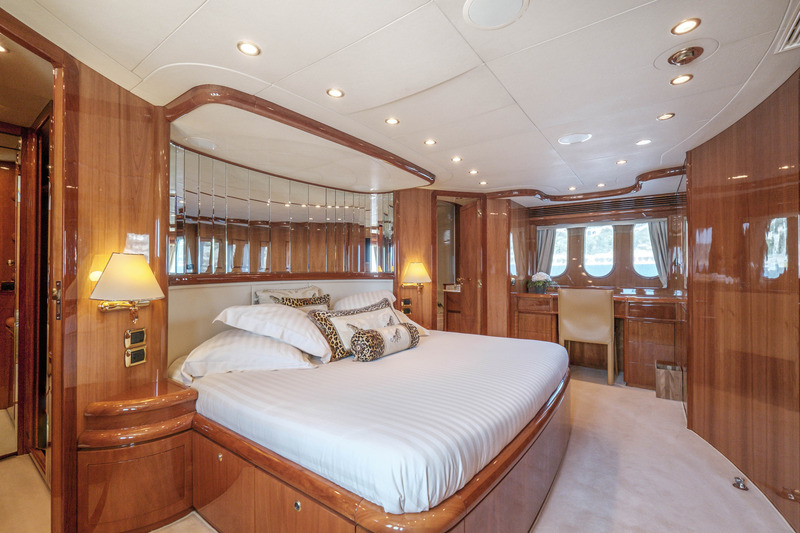 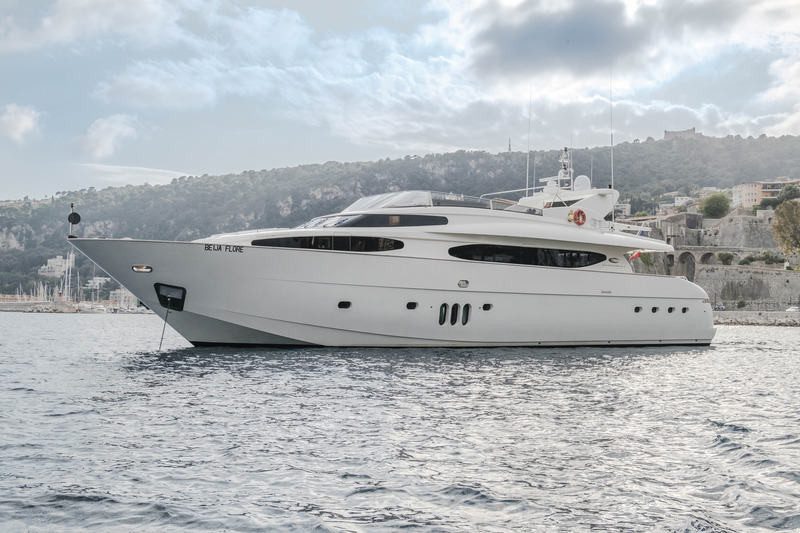 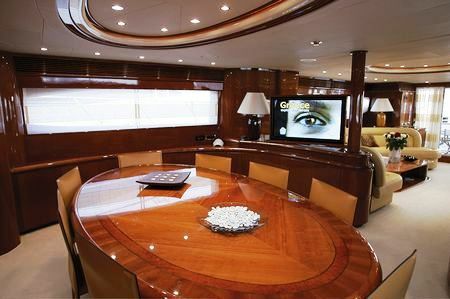 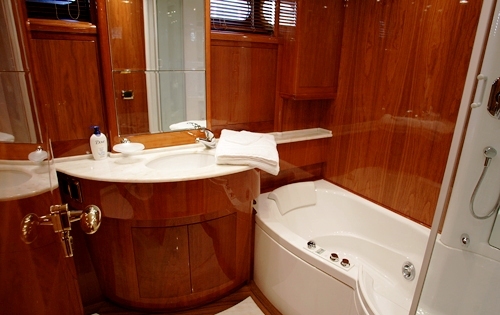 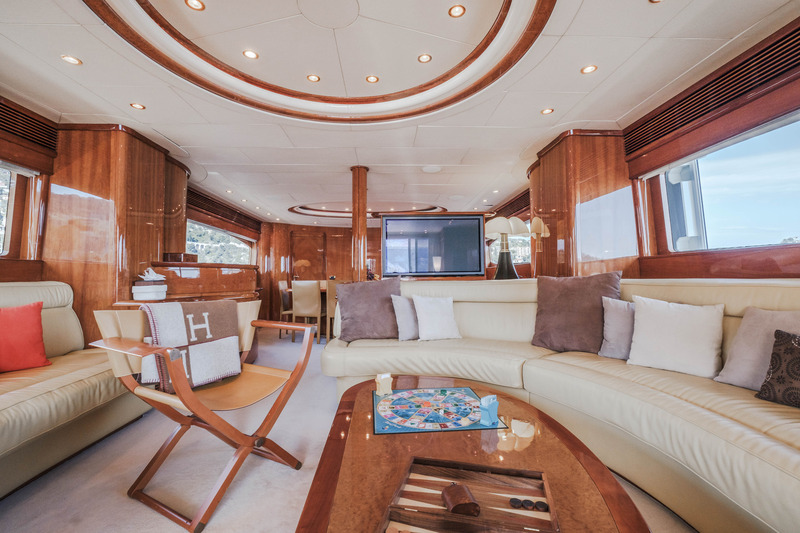 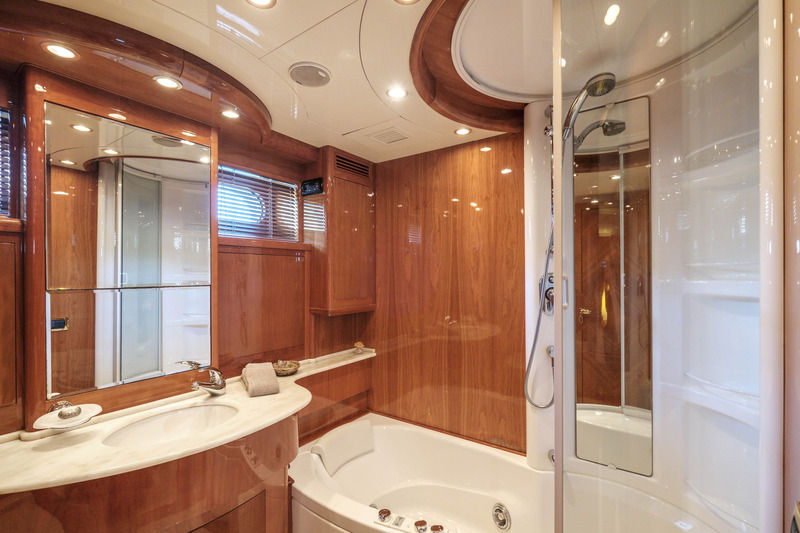 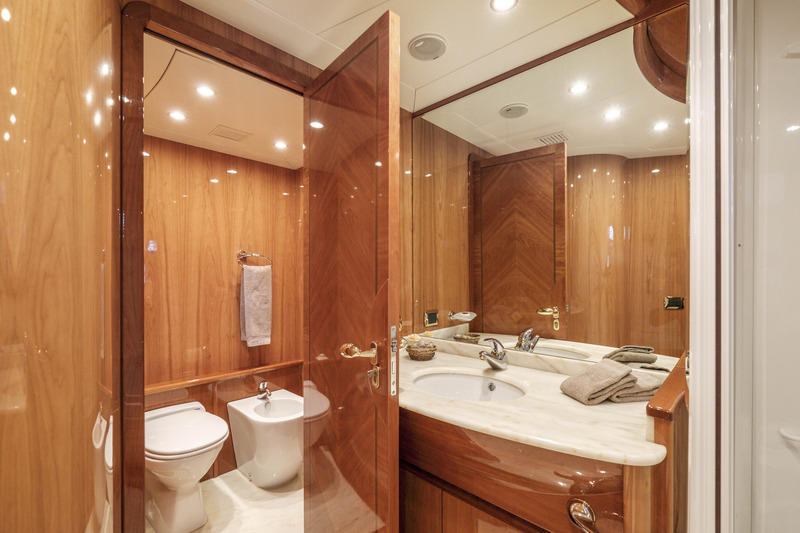 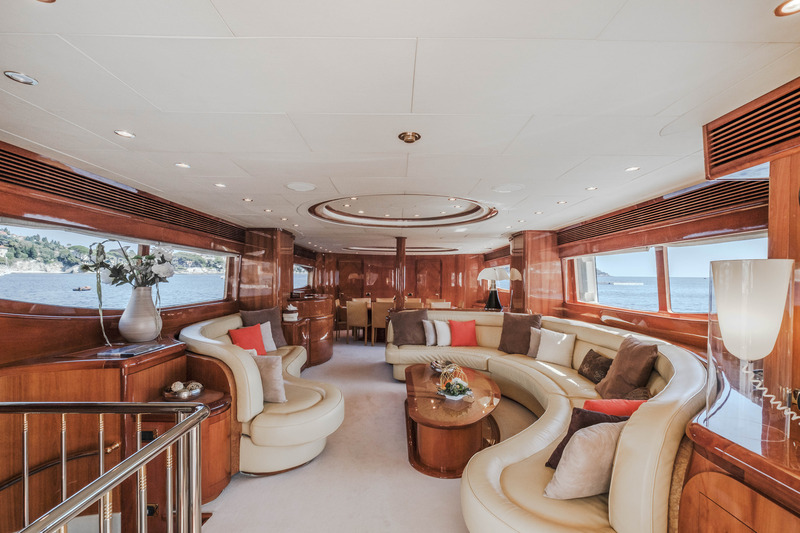 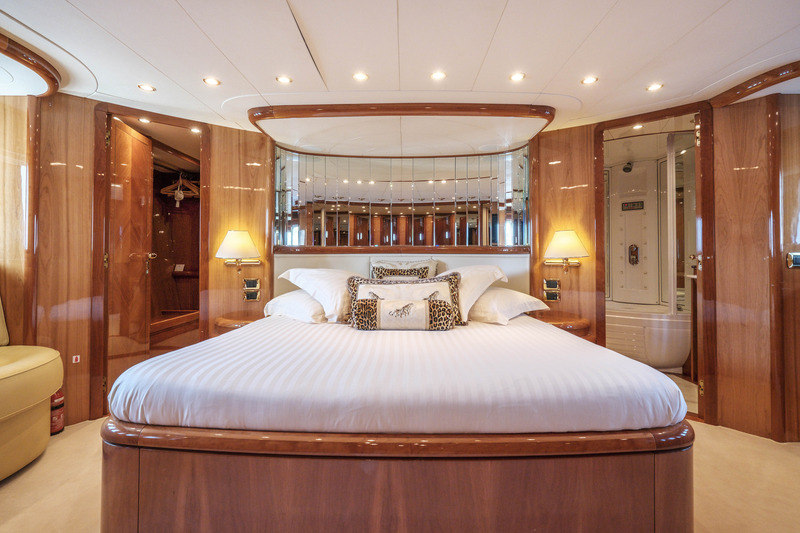 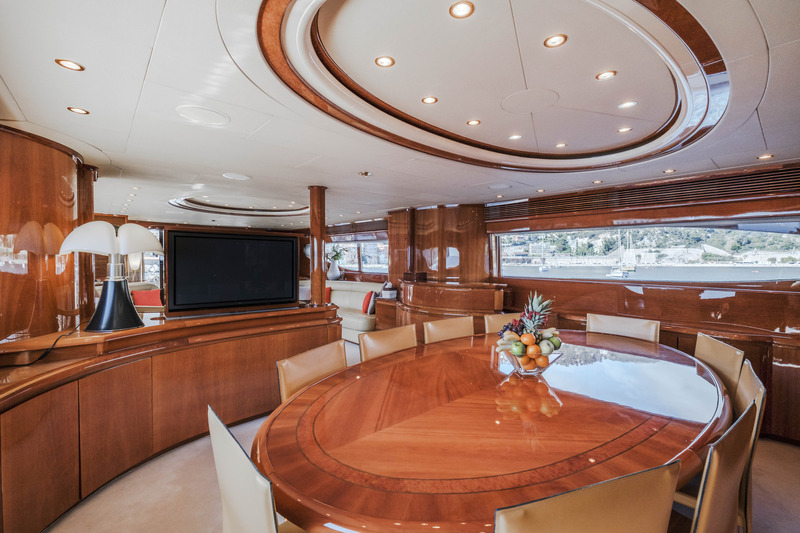 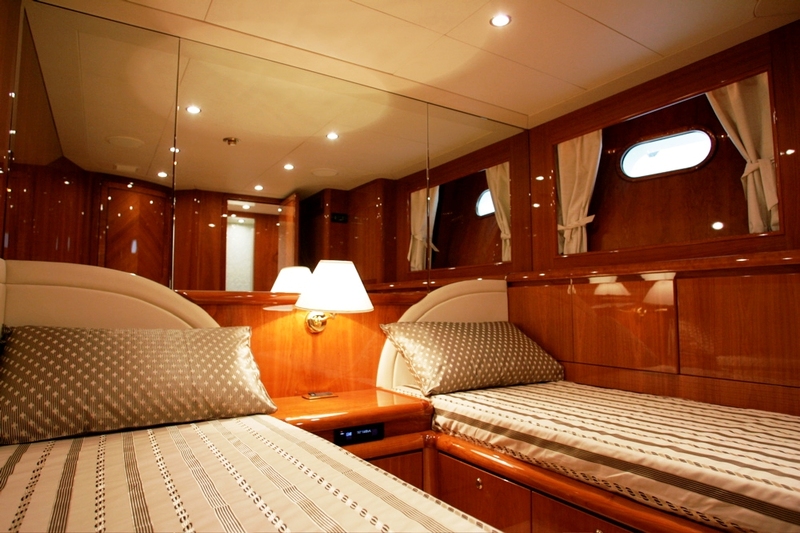 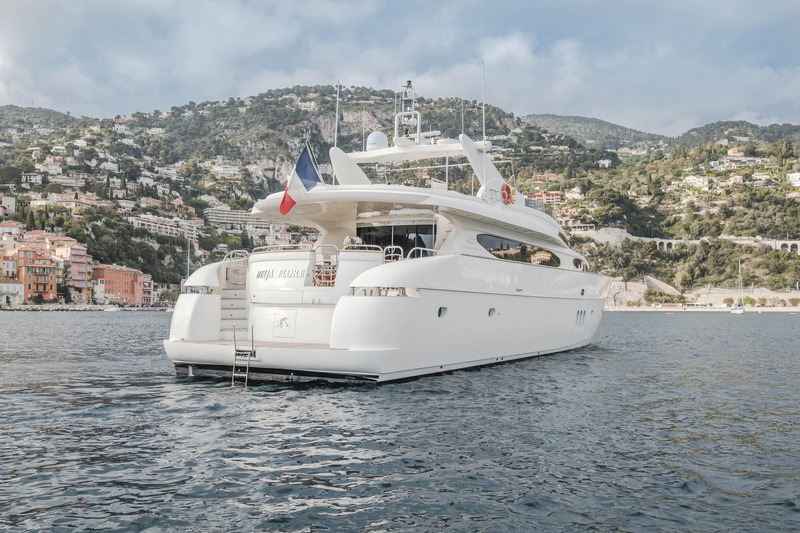 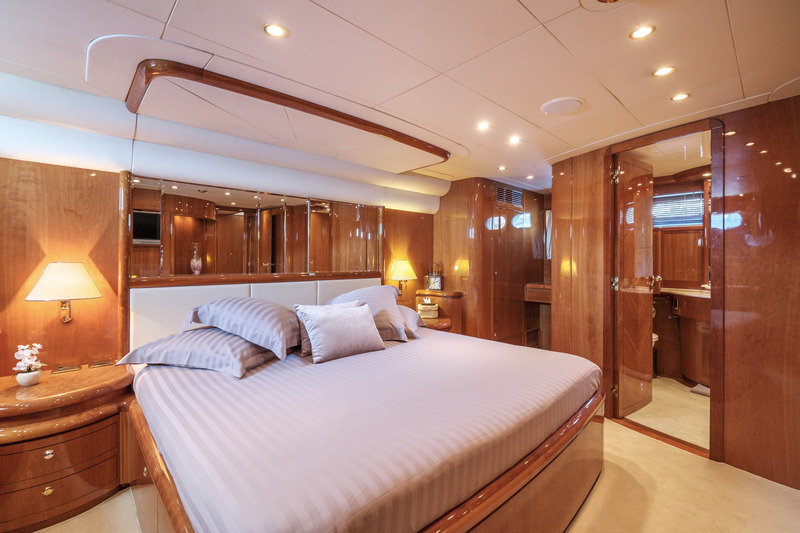 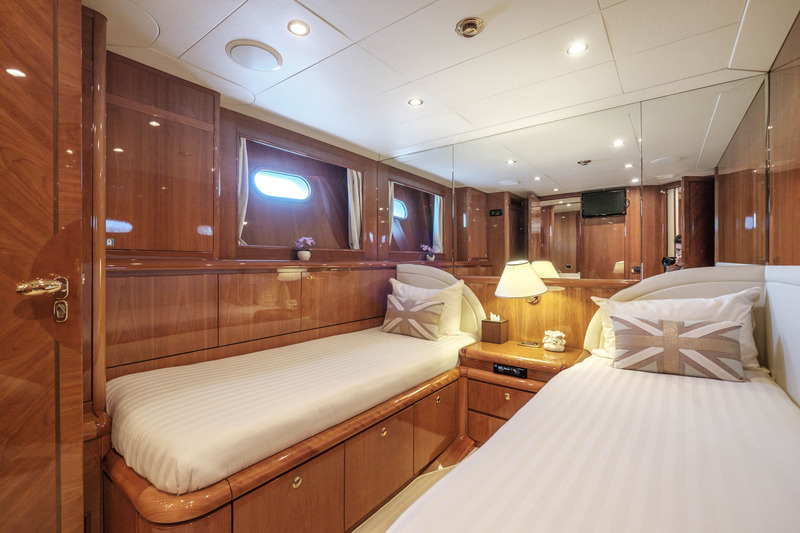 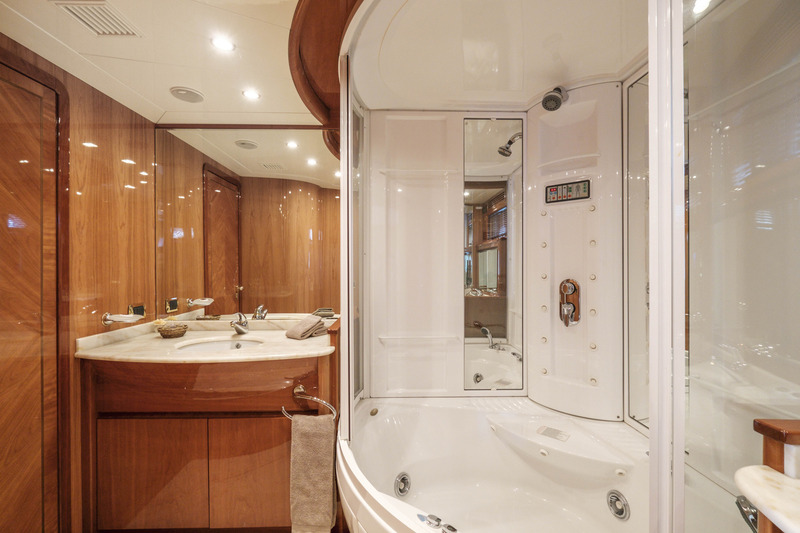 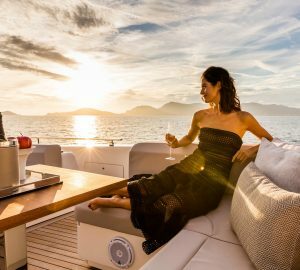 Motor yacht BEIJA FLORE can accommodate up to 10 guests in 2 double Cabins (One Master and One VIP) with TV, DVD, Hifi and Canal Sat and 3 Twin Cabins with HIFI and CD. 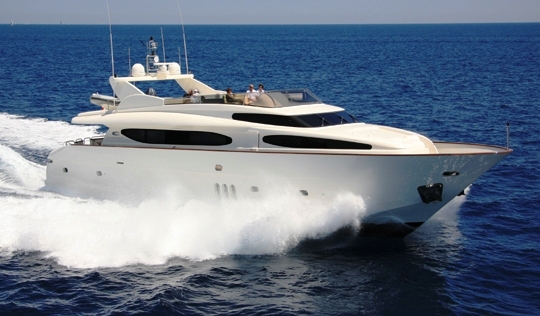 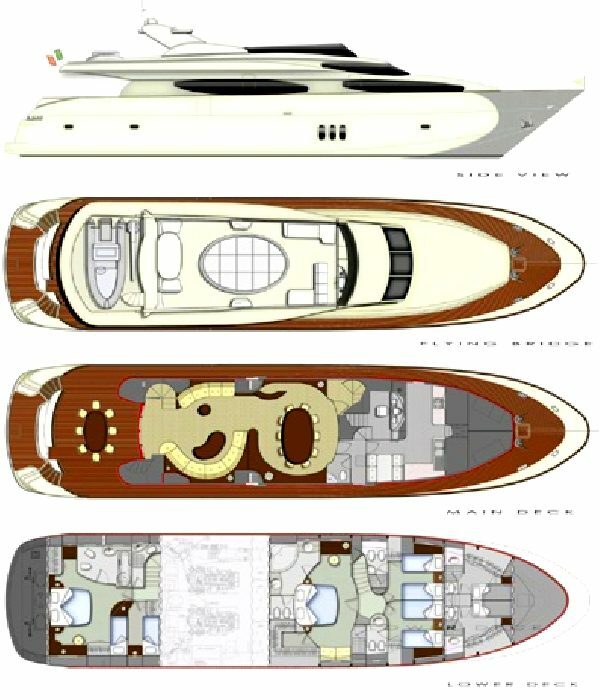 She features twin 1400 Hp Caterpillar engines enabling her to attain speeds of 20 -26 knots. 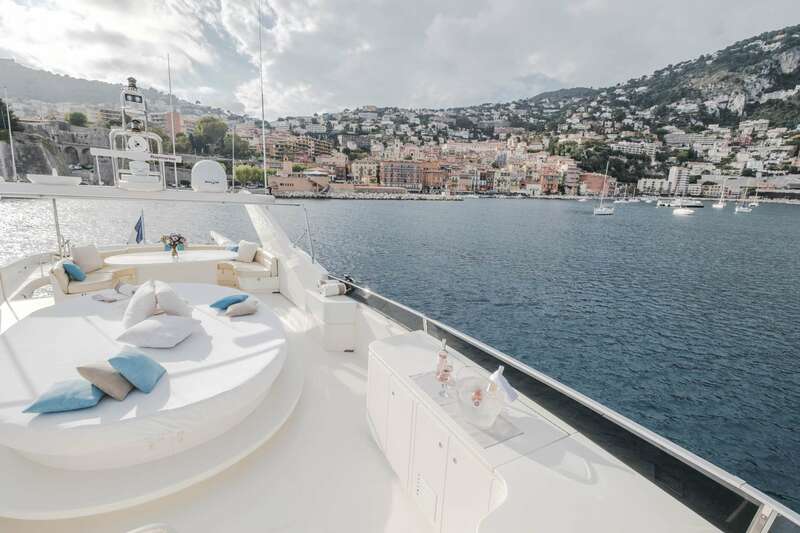 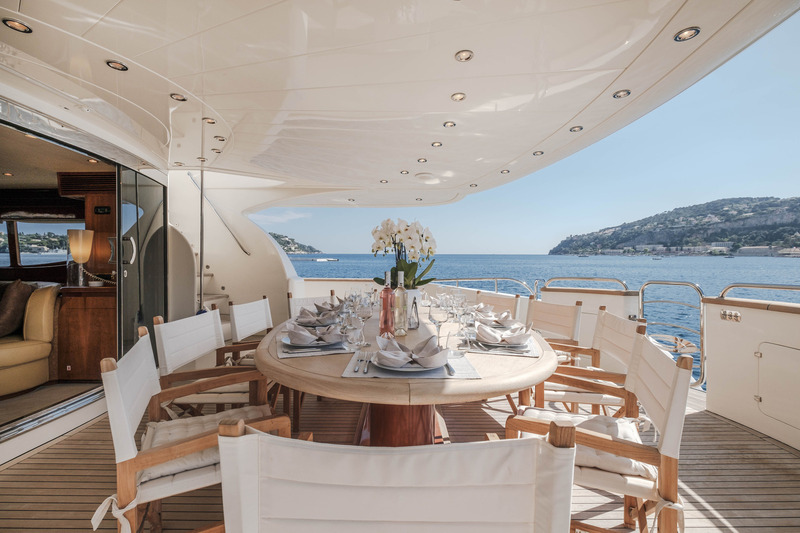 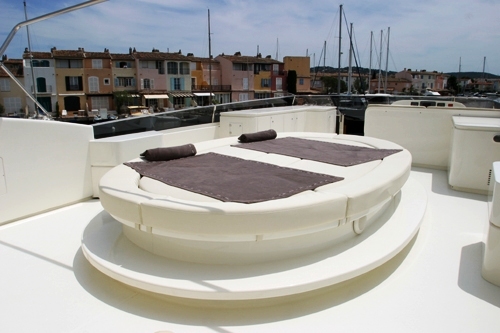 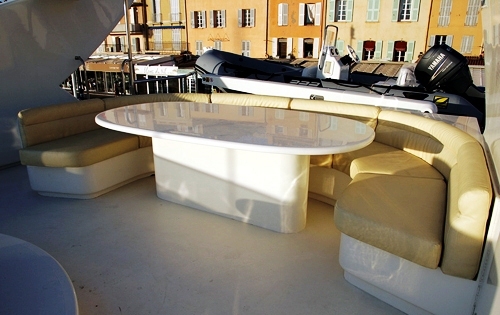 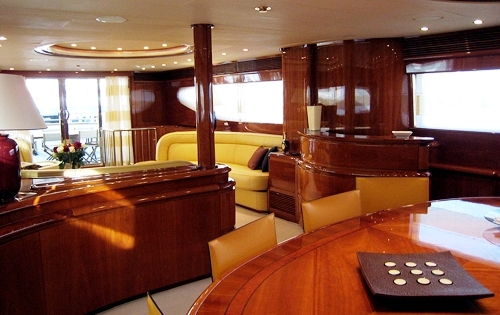 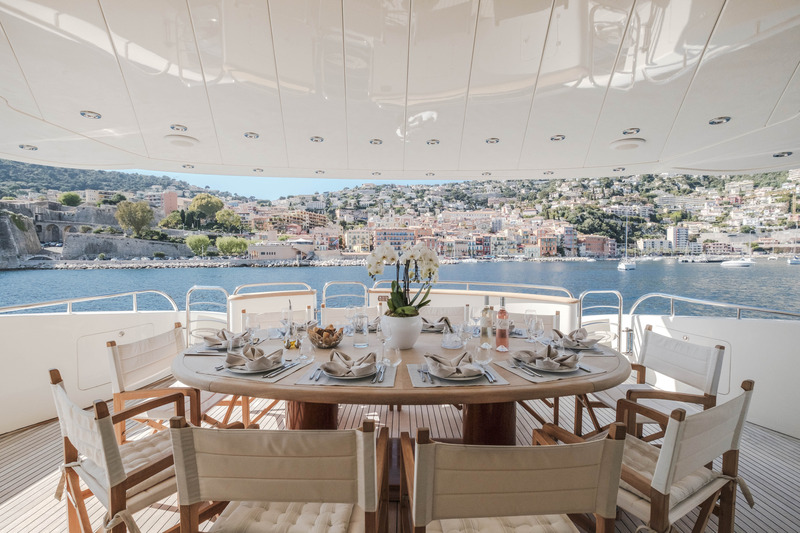 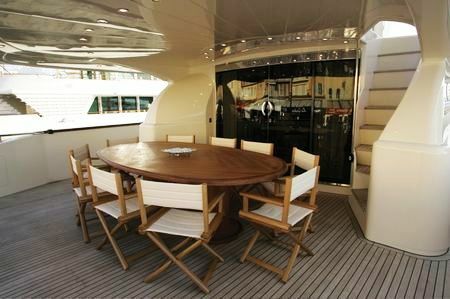 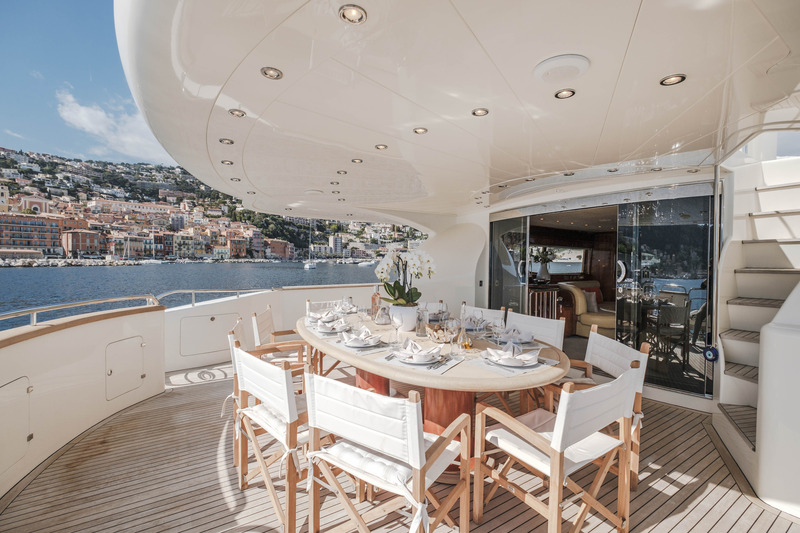 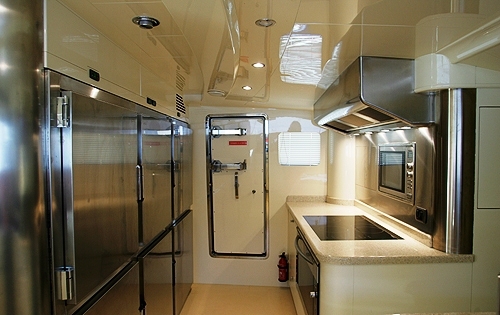 She has a crew of 4 and can host a maximum of 30 Guests for cocktail parties at the quay. 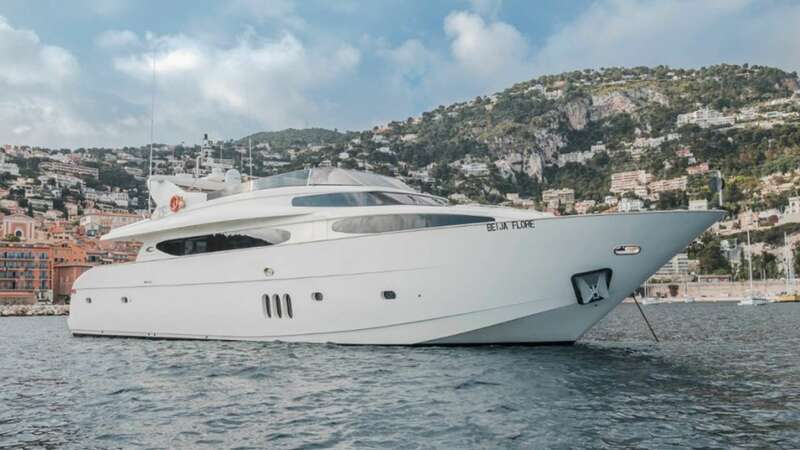 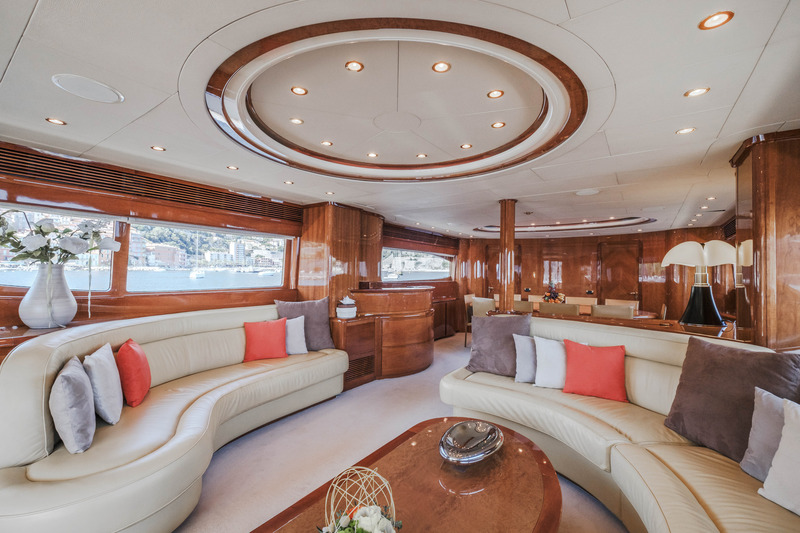 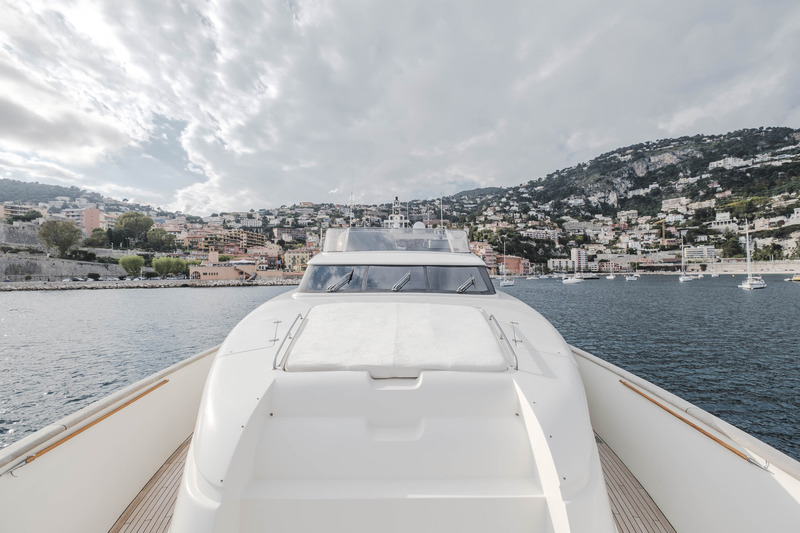 Eurocraft motor yacht BEIJA FLORE has the following extras on board: Tenders & Toys include a Tender 4.20 m, Water skis for each size, snorkelling equipment for each size. 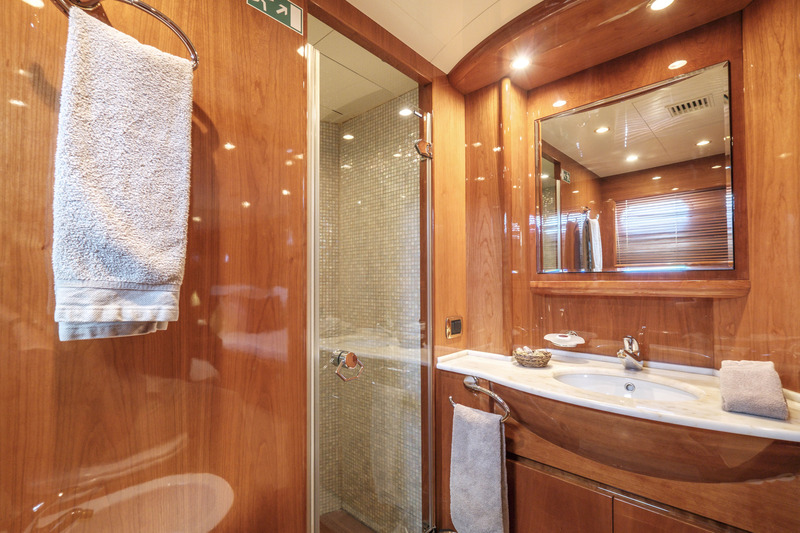 Communications include a TEL CELLULAR, Audio Visual Equipment and Deck Facilities include a Plasma TV, SAT TV, DVD, CD in the Main Saloon, a Plasma TV, SAT TV, DVD, CD in the Master Cabin and CD HIFI in the Guest cabins.